I will let you in on a little secret that I have been harbouring for the last week or so. 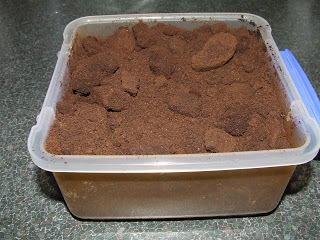 I am addicted and obsessed with coffee grounds, or at least my worm farm and garden are! I discovered this wonderful organic matter about 12 months ago when a friend of mine gave me two large garbage bags of coffee grounds that he picked up from a local cafe. Without thinking too much about it, I added a bag each to two of my three compost bins. About a week later I checked back and to my amazement there were worms in abundance literally swimming though the grounds. They loved the stuff and multiplied quickly, which made me happy. Anyway, after a while I promptly forgot this valuable lesson until about three weeks ago when I read an article about the benefits of coffee grounds when used in your garden, compost or worm farm and how it has a high carbon to nitrogen ratio (about 20:1) which is comparable to grass clippings. 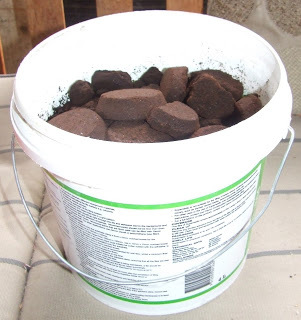 Coffee grounds also help the soil to retain moisture if added directly. For those who compost, it is used as a ‘green’ and not a ‘brown’ even though that is its colour. For those who thought it would be high in acid (just like a cup of coffee), think again, because it has relatively balanced pH of between 6.2 to 6.9 (with 7 being neutral). Most of the acid is flushed away during the coffee making process. If you have acid loving plants such as blueberries, you can add it directly around the base and they thrive. Now I am a one cup a day man, which produces 20 grams (3/4 oz) of grounds. This doesn’t sound like much but over the course of a year that amounts to 7.3 kg (16 lbs) of waste. 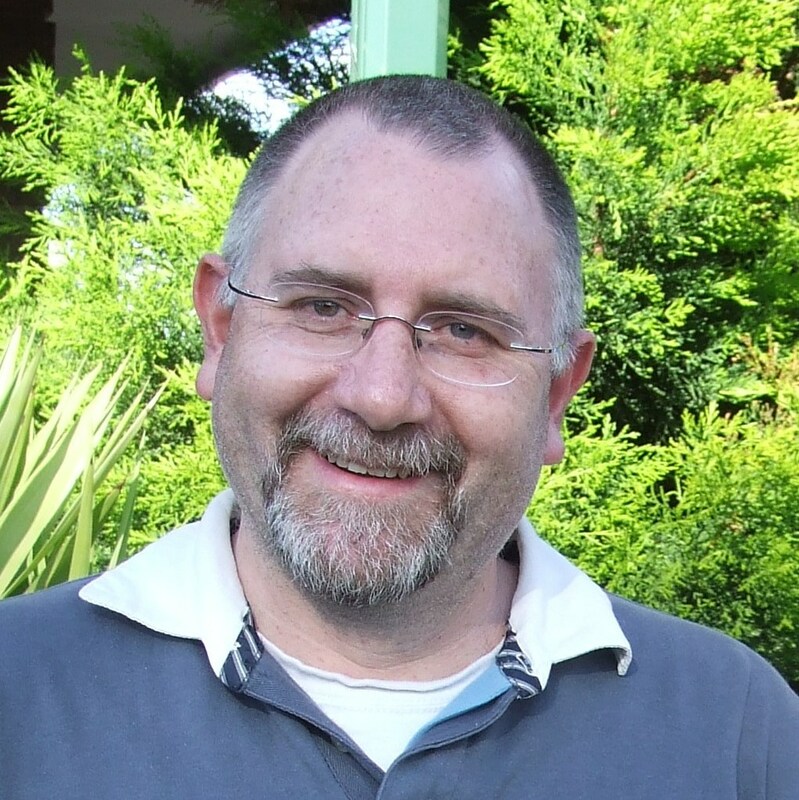 It only takes 50,000 cups of java to make one metric tonne of the stuff, which you can easily imagine many, many times over in a large city of 4 million like Melbourne or Sydney. 1 tonne of coffee waste emits 1.6 tonnes of Greenhouse gasses, primarily being methane (CH4), so that is one hell of a lot of GHG emissions just from coffee waste. 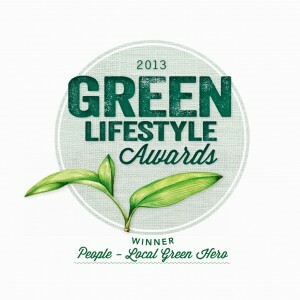 Taking it out of the waste stream is doing the climate a favour! Where do you get a steady supply of this ‘brown gold’? Well if you happen to live in Melbourne, which is home of Australia’s coffee culture, you certainly do not have to look very far. There are cafes and coffee shops everywhere, just throwing away mountains of coffee grounds every single day. All you have to do is have the courage to ask for them. So I did ask. I currently have an arrangement with my favourite coffee lady Kate, whereby I take in a little bucket with a lid, and she diverts the coffee grounds from landfill and into my bucket. It fills in a couple of days and I collect it in the mornings and pop it into the boot of my car before I catch the train. A nice arrangement and Kate was more than happy to accommodate me, probably because I started the keep cup craze here at the train station. Anyone who is anyone now has a keep cup (well at least 15 people that catch my train now!). There are many other cafes in town, so it would be easy enough to approach them as well, but we will see how much I get from Kate each week first before I get too greedy. The worms and compost bins can only take so much. The coffee bucket for the railway station cafe. Where else can you get some without doing the hard yards? Well I did some research and there is a web site that can help you. groundtoground.org has a great map with details of where you can pick up some coffee grounds from willing cafe proprietors. Have a look as it has some great tips on how to use the coffee grounds and other good ideas. Additionally, lets not forget our work places. 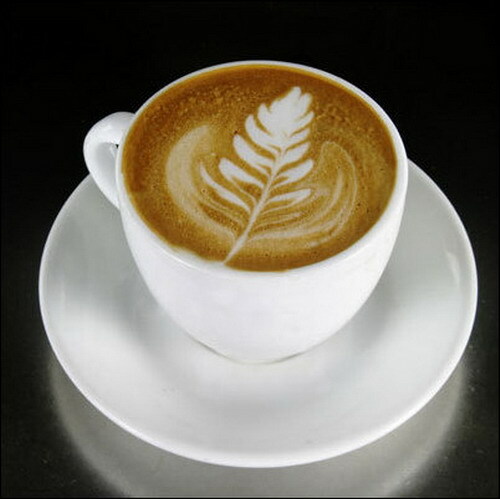 Many now have automatic coffee machines that grind roasted beans and serve up a half decent cup of coffee. I know that at my work, just about every floor in our high-rise has one of these machines that needs to be cleaned out daily. The grounds are usually tipped into the landfill bin by some unconcerning soul. However, the machine on my floor gets cleared by yours truly, whereby I cart the grounds home in my lunch box. The only limitation I have to taking home more is the room and weight of my backpack. I could probably carry about 3kg comfortably and there is certainly much more than that going into the bin each day. So in summary, don’t be scared to ask your local cafe for their coffee waste. It may not have any value to them, but it is worth it’s weight in gold if you ask me. 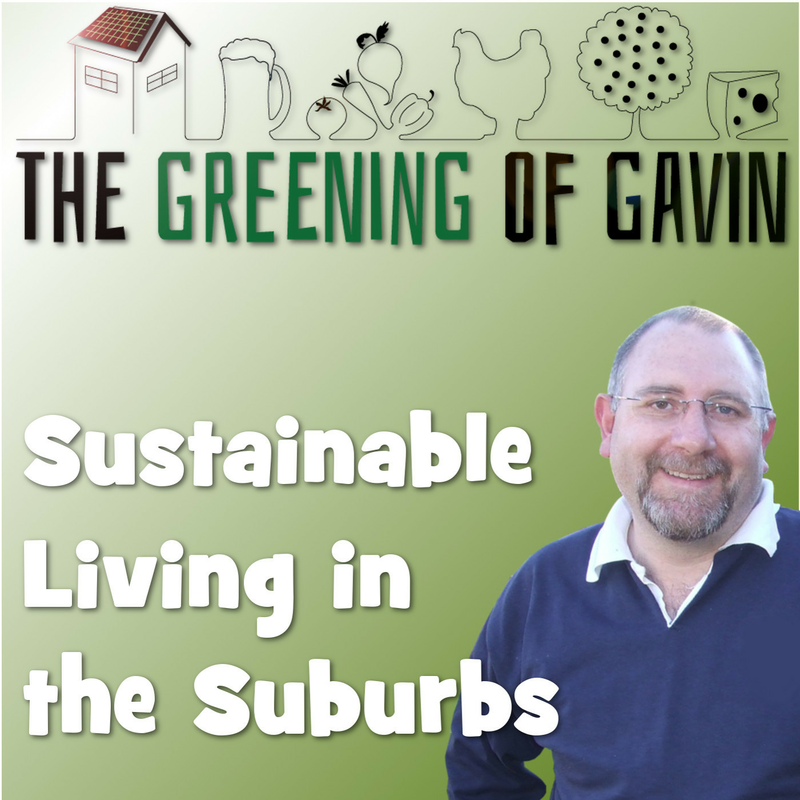 It is fantastic for your worm farm, compost bin, and veggie patch, not to mention a big reduction in greenhouse gas emissions. 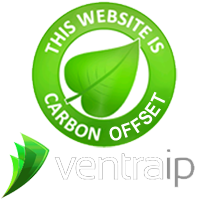 Lock all that carbon away in the soil is such a simple action that you can take. Best of all, coffee grounds are free! 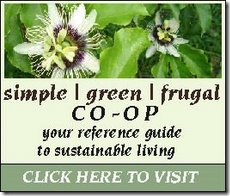 One of today’s posts is over at the Simple Green Frugal Co-op. It is a rehash of a post I wrote a while ago titled “Backyard Chickens – Return on Investment“. I have updated it with further information from the response I got from comments on the original post. Please join me over at the co-op. 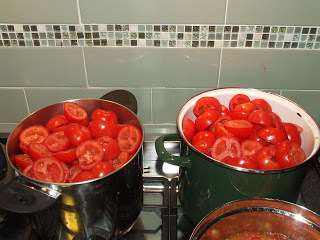 As I only grow enough tomatoes each year to eat fresh, I headed down to Bacchus Marsh to my favourite fruit and veg shop (Jeff Jones) and pick up a 10kg box of saucing tomatoes for a very cheap price. 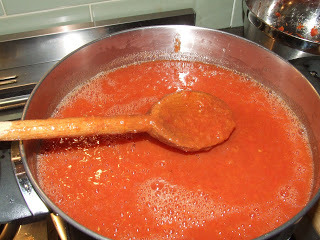 Then I make about 3-6 months supply of Passata, which is a basic tomato puree. Here is how I do it. 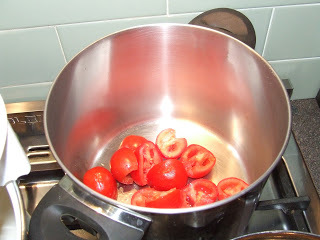 Firstly I core each tomato, cut it in half and scoop out the seeds with a teaspoon. 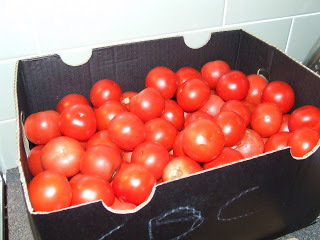 A 10kg box will fill about two 8 litre pots. 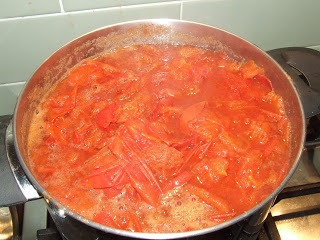 Then I simmered until pulpy for about 45 minutes. Give it a stir a few times during the simmer to stop it from burning to the bottom. Once pulpy, I passed it all through the food mill to extract the pulp and leave the skins behind. Don’t forget to pass all the skins through for a second round to get the last drop of juice. Here is the finished result. A nice and thick puree ready to bottle. 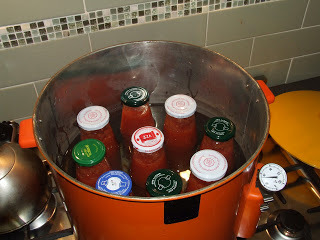 I sterilised the bottles in my normal oven manner at 120C for 15 minutes, and boiled the lids separately. To each bottle I added 1/4 teaspoon of citric acid to bring up the acid levels, then I filled the bottles using a funnel, and sealed tightly. Brought the water bath up to 92C and then kept it at that temperature for 45 minutes. Once they were removed and cooled, I heard the audible pop of the lids. Every one sealed okay. 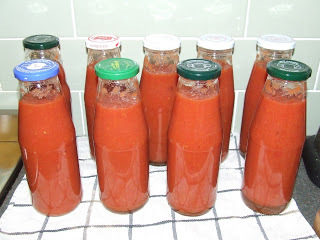 Out of that 10 kg of tomatoes, I ended up with nine 720ml bottles (23 fl oz) of Passata. We will probably go through this in no time, however with shop bought Passata at about $3 each, I have myself a saving of $15 (the box cost $12). It only took a couple of hours work all up and I had a relaxing time making it. I have in the past added salt, but I now prefer to season the meal and not the ingredients that I make to put in it. 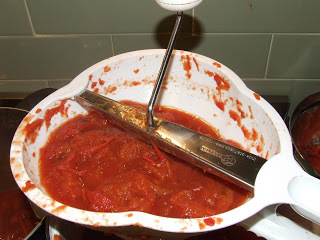 Who else has made Passata, and are there any variations on the mixture? Leave a link if you have blogged about it!